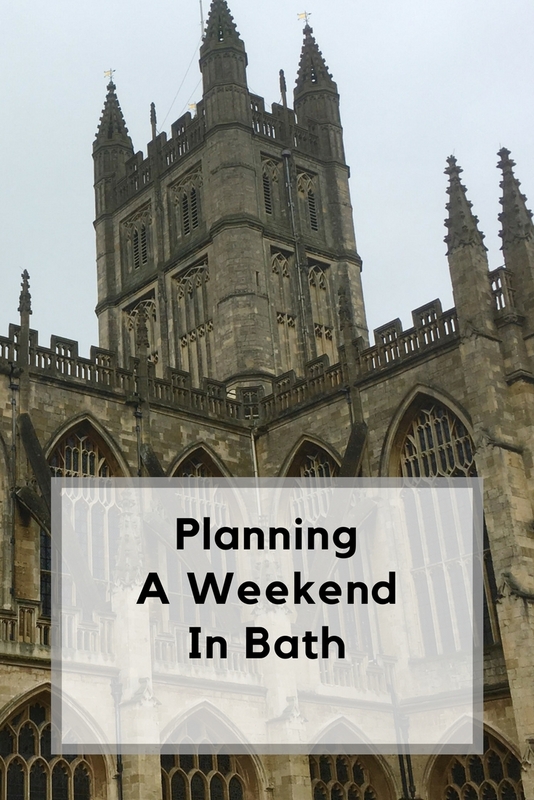 Bath has been on my list of places to visit for years now, and I am always finding myself saying “I really must book a short break in Bath”. 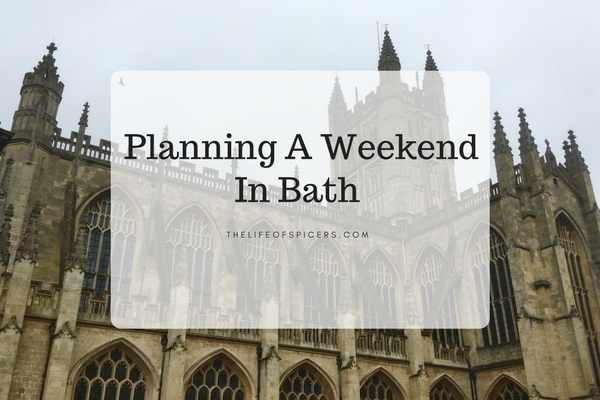 At the beginning of the year, I researched a few dog friendly places to stay in Bath, and we are now planning a weekend in Bath in April. After looking around for the best places to stay during our weekend in Bath, we have decided to stay at Bath Mill Lodge. I know that Tracey from The Williams World has also stayed here and had a lovely time. It’s only three miles from Bath and we will be able to enjoy the facilities of the park as well. If you’re looking for a bit of luxury, then Katy from Mumof2point5 recommends staying at Bath Paradise House Hotel B&B. She stayed for her partner’s 30th birthday in a four poster room and says the gardens are beautiful and it’s within walking distance to the centre of Bath. I have started making a list of must see place in Bath. 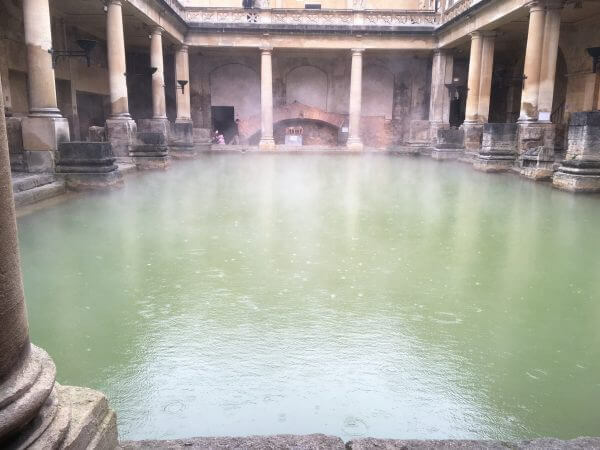 Obviously the Roman baths are a must visit. Based next to the Abbey, there is so much history on offer to be soaked up. 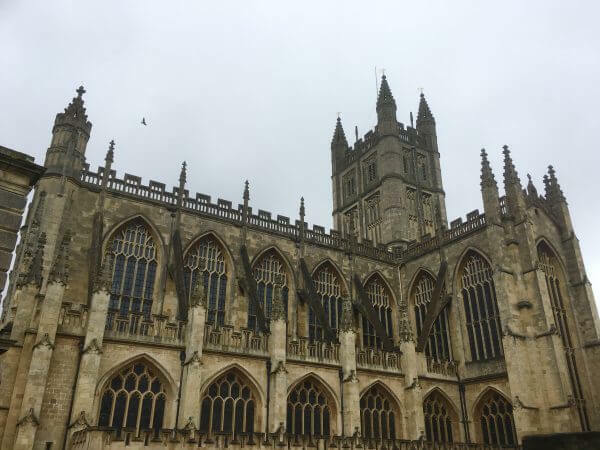 Also on our list is Bath Abbey itself. A suggested visit time is between 45 minutes and 1.5 hours to appreciate everything the Abbey has to offer. To explore the city of Bath, we are looking into taking an open top bus tour of the city. This will be a fantastic way to see all the sights and save our legs in the process. A 24 hour ticket for the tour costs in the region of £14 per adult which gives you 24 hours to hop on and off the bus as you explore the sights of Bath. We are planning to utilise out weekend in Bath by dragging it out on the way home as well. After our jam-packed weekend we are going to spend our check out day exploring some local attractions nearby. We are big fans of National Trust properties and have had our membership for over a year now. Places on our list too visit include Lacock Abbey. Having featured in the Harry Potter film, The Chamber of Secrets, I know this will be a hit with the whole family. Located just half an hour’s drive away this would be a great excuse to fit in a visit on the way home and utilise our National Trust membership at the same time. If you’re travelling home to the North, then check out what Mary though of Westonbirt Arboretum, located just 46 minutes away in Tetbury. Mottisfont is a lovely National Trust property that we have previously visited. If you’re travelling home towards the South Coast then this would be a lovely break to the drive. Any other recommendations I need to know about before we visit?